Replacing the brake rotors on one of my cars, installing a 50A alternator and some other stuff on my project K75, maybe even some yard work. However, since we might not see the sun again here until June, I decided to take one of my K75s for a 300 mile run out to The Pacific Ocean and back instead. It turned out to be a great day: no clouds, no traffic and no police. I started off with a nice waffle at my favorite breakfast establishment in Sequim. Still snowy up in The Olympic Mountains. Fishing boats moored at Neah Bay. Highway 112 is one of the nicer riding roads in Washington. It winds along the shore of The Strait of Jan de Fuca with Canada (Vancouver Island) to the north. My camera was on the wrong setting for shooting pictures while moving but here's what the fun parts of the road look like. The cows seemed to be having a nice day as well. 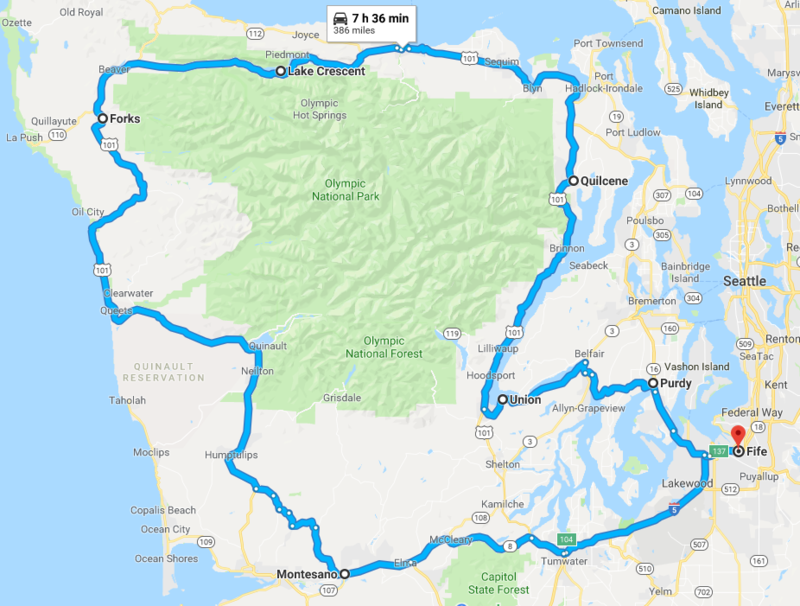 I agree that Hwy 112 from Port Angeles to Neah Bay (and onto Cape Flattery, the furthest point West of the continental US) is a good, winding coastal road in this region, especially since a repaving. Before that it was a good, slow, rutted road. I like to drop down to 101 on the return and ride round Lake Crescent. It was down to one lane last year due to rock slides. Nice piccies. I stayed home feeling ill, though 77f is a nice temp, even with a stomach bug. @Two Wheels Better wrote: I agree that Hwy 112 from Port Angeles to Neah Bay (and onto Cape Flattery, the furthest point West of the continental US) is a good, winding coastal road in this region, especially since a repaving. Before that it was a good, slow, rutted road. I like to drop down to 101 on the return and ride round Lake Crescent. It was down to one lane last year due to rock slides. 112 still has some little surprises here and there but you're right that it's a hell of a lot better than it used to be. It can be ridden at a good clip these days. I usually do Lake Crescent on the way home too but signs indicated they were doing roadwork on that part of 101 so I just came back on 112. On my birthday I take the day off, rain or shine, and do the entire I-5/8/101/302/16 loop round the Olympic Peninsula. I've done that about every other year for over a decade and a half when I've been in the States. it's about 400 miles and if I beat Olympia's traffic I can be home by dinner with a few rest stops and lunch somewhere along the coast. At times I've diverted up 113 and walked to the end of Cape Flattery but of course it's after dark when I'm opening my garage at home. How do you manage to stay awake on the western part of 101? There's some long boring sections on that road. At times I'll scoot out the smaller roads to Moclips or Taholah and wend my way back to 101 to keep it interesting. A mate of mine camped out there near Taholah one night to discover his car's windows had all been smashed along with every vehicle in the overnight lot. Boredom and blight is suffered by teens of all nations. My favourite part is when the highway's right near the beach between Queets and Ruby Beach, though I confess Oregon's got a much prettier coast than Western Washington. @Two Wheels Better wrote: At times I'll scoot out the smaller roads to Moclips or Taholah and wend my way back to 101 to keep it interesting. A mate of mine camped out there near Taholah one night to discover his car's windows had all been smashed along with every vehicle in the overnight lot. Boredom and blight is suffered by teens of all nations. My favourite part is when the highway's right near the beach between Queets and Ruby Beach, though I confess Oregon's got a much prettier coast than Western Washington. Up at Neah they prohibit public parking at the Shishi trailead because the Makah tribe got a really bad rep from car break-ins so you now have to pay to park it in some Makah's yard and they keep an eye on your vehicle. It is a shame that they built 101 back from the coast. We have an awesome coast but you either have to hike it (which I've done) or have an airplane to see it. Yeah, Charlie, you'd love riding in this region. So much open space and long views. But I suspect you know about long views. Offer's open. The new house has three bedrooms, and there's always an extra bike. Beautiful ride Duck - I'd kill to have all that at my back door. 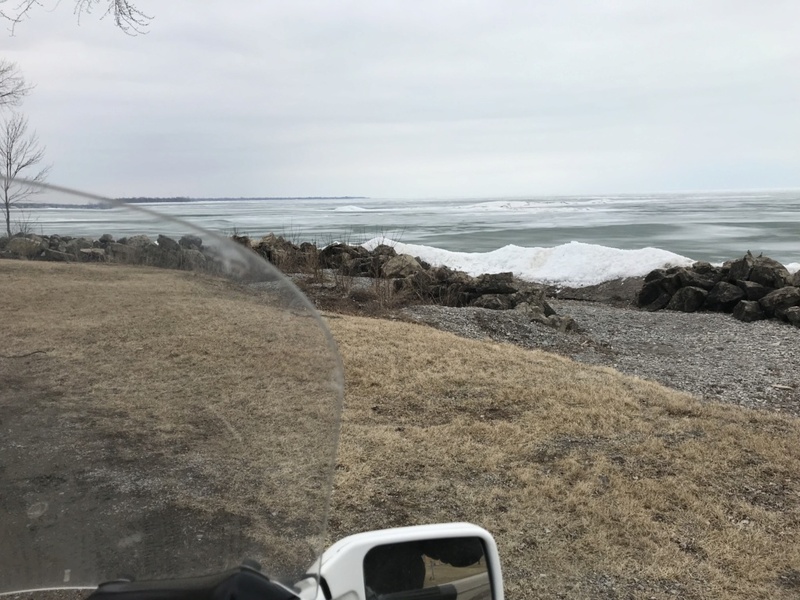 I started my '19 riding season a few days ago. Here's a shot of my 'water' view today while I was out meeting some clients.